Did you ever end up with way too much dishcloth yarn? Enough that you could knit dishcloths for a small country? 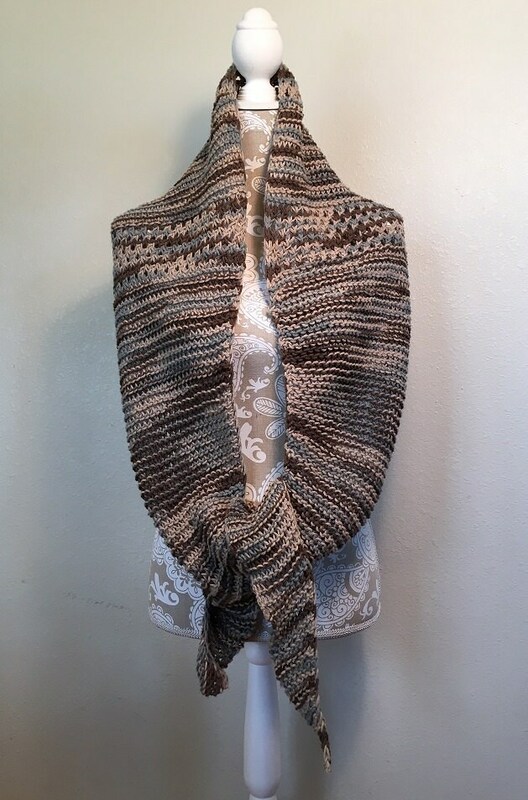 Well, that’s how this scarf came to be knit with approximately 350 yards of Lily’s Sugar ‘n Cream cotton yarn. :) That and the fact that I was wanting to make a wrap that could be worn over spring break in Arizona without sweltering. 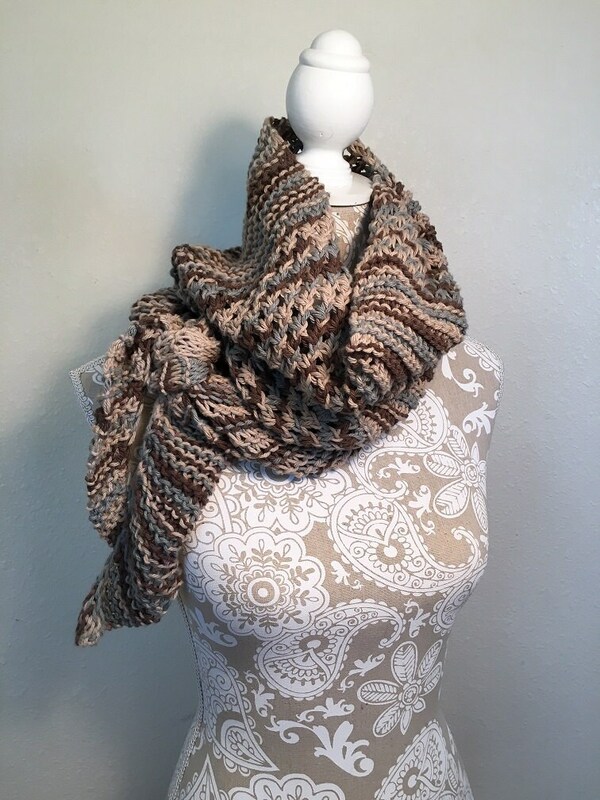 This scarf features a little different version of my Diagonal Knot Stitch. 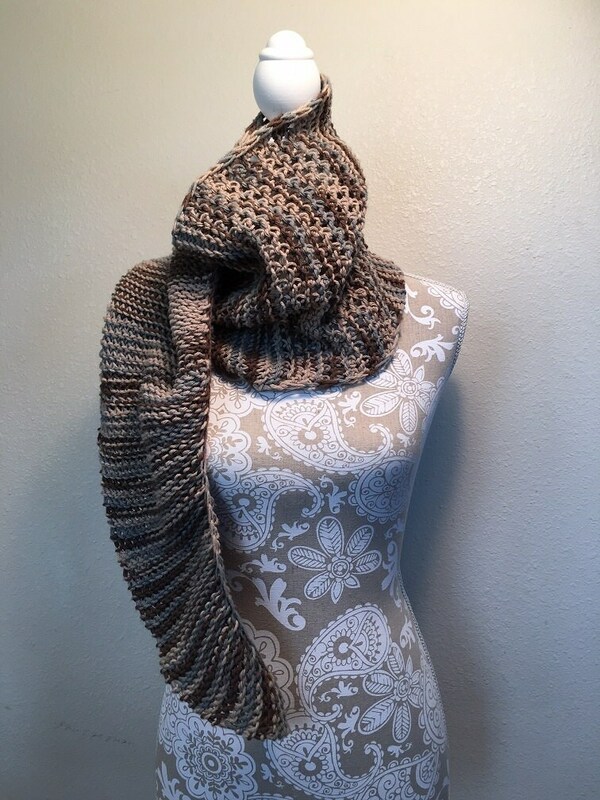 The scarf is knit on a 1/2” gauge loom with a minimum of 40 pegs. 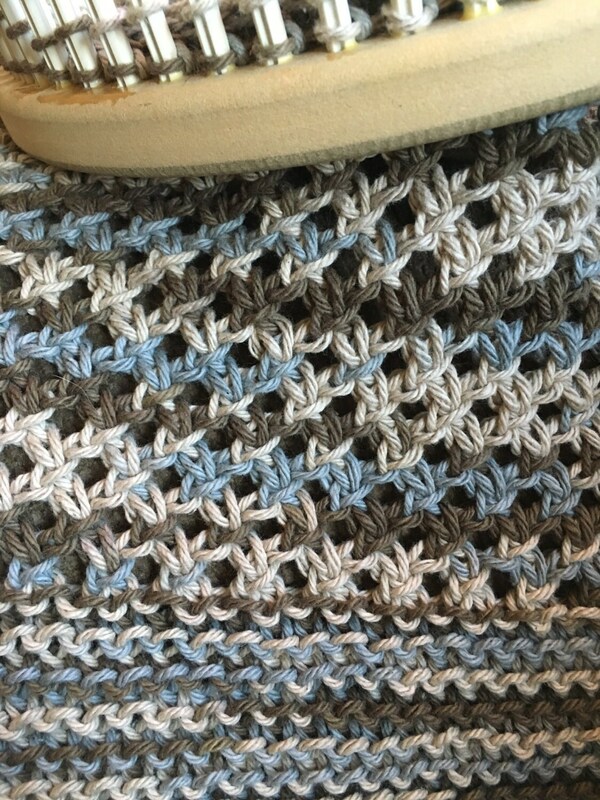 The pattern comes with a step by step photo tutorial of the Diagonal Knot Stitch. Once you get the hang of making the diagonal knot stitch on two pegs, the scarf will quickly grow on your loom.